Professor Chukwuemeka Ike, was the first Nigerian Registrar of the West African Examinations Council (WAEC), which he joined in the '70s when he finished his 10 months assignment as the first Vice-Chancellor of University of Nigeria, Nsukka (UNN), after the civil war. While in WAEC, he broke a record as the first Registrar of WAEC to sign the WAEC certificates. Before him, it was the chairman of the Council that was signing the certificates. After serving as the chairman of the Committee set up to prepare a report on how to reopen the UNN after the war, Prof. Ike was appointed to replace Prof. Eni Njoku, who was the VC before the war. Prof. Kodilinye was made the VC of UNN when Prof. Ike moved to WAEC. His activities in WAEC earned him honourary fellowship award when City and Guild of London marked their 100th anniversary. My name is Chukwuemeka Ike. Now I put His Majesty Eze Professor Chukwuemeka Ike. At Ndikelionwu we believe in Aro tradition of Eze, rather than Igwe. I came into traditional rulership at a rather advance age. I did not expect to be traditional ruler at this age. But that was how things came. There was a vacancy and Ndikelionwu has an element of hereditary in the kingship rule. So, the ruling family had to bring out one person. The town union has to approve. If they do not, the family would go back and send another name to them. I was asked to do it. It was not something I was dreaming about. But I thought it might be a new area in which to try my hand, because I have spent my life career partly as a teacher at various levels. When I left Government College Umuahia in 1950, I did a year teaching at primary school and then went to the University College, Ibadan in 1951. I spent four years there and took a B.A London degree. That was what was done at that time because Ibadan has a special relationship with the University of London. After that I went back to the secondary school and I was bonded because CMS Anglican Mission sponsored my degree programme at Ibadan. When the University of Nigeria Nsukka was opened in October 1960, they wanted a Registrar. But that was too much for me. In any case they did not advertise it. They employed an Englishman Peter Wright as the first Registrar. But there was chance for Deputy Registrar. I applied for it and got it. So I moved over to Nsukka as the pioneer staff of the University in October 1960. I was there as the Deputy Registrar. Again Nsukka was about the most challenging experiences of my life because. Here was a University set with the best of intentions. Dr Nnamdi Azikiwe was the brain behind it. But because of its American association it began on a very bad note in Nigeria because American education was not regarded in Nigeria. So the idea of opening a University that will be oriented towards the American system was very unpopular. 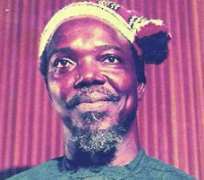 A Daily Times columnist wrote an article that was very famous at that time in the Sunday Times (MA) Nsukka PhD Awo Omama. It was the most ridiculous thing. He asked the question how we could have degrees with the name of Nigerian towns attached to them. It was a big task for us to evolve this kind of educational system that could take the best of British system and the best of American system, and produce something targeted at Nigeria to serve Nigeria's interest. I was there from 1960 to 1963, when I was appointed the first Nigerian University's Registrar of UNN. I was registrar in UNN for eight years plus. It was very challenging. We were teaching courses that had never been heard of in Nigeria; like Business Administration, nobody has heard of it, Music was not studied in the university, it was for Diploma courses in Britain, Physical Education, Fine Art, Journalism, nobody has heard of universities awarding degrees in journalism. But we started these various studies. For instance, education courses, people went for a Diploma in them but we started awarding degrees in them. One of the things I did was to publish a pamphlet for prospective students about to enter UNN so that people will have a chance to know about our programmes they have not heard of before, to know the entry requirement needed for the programme, to let them know what kind of job they will do with those qualification when they finish. It was a way of selling the programmes of the university. I started a newspaper. We publish it and sent to secondary schools every two weeks. This was unheard of but it was aimed at reaching the schools to tell them about us. We organized visits to schools in which the academic staff go and interact with the students and staff of secondary schools to tell them what UNN was all about. I went to one school only, that was Government College, Umuahia, my old school, they would not hear about Nsukka then. The idea of how I can I study in UNN was in them. When I arrived I talked to them and they could not see the reason they would associate themselves with Nsukka. But I talked to them and said as an old boy, I advised them to come to UNN, that they will enjoy the difference. UNN started the GES programme. This again was something unheard of. You went to the university to study physics or chemistry but you are made to have background in social sciences. We tried to explain that these are the things you require in common with other students to be able to survive in the Nigerian society. What helped us was that about the end of three year period , the Nigerian government introduced a public service examination for entry into the public service. Our students that went for the examination came top. It was because of GES background which other students did not have. In fact GES has remained. Everybody has got to know that it was one good thing from America. But we did not adopt American system exactly; it was necessary for students going through one institution to have something common to them, something that would prepare them for their roles in the society. That is what the GES is meant to do. This should vary from country to country. Nsukka introduced course system in Nigeria. In Britain they just say first class. But in Nsukka, it is spelt out. The truth is that there are a number of things that Nsukka started that are still there. When the war broke out, UNN became the University of Biafra. I was the person who stayed on with the university moving from one location to the other as the civil war dictated. We could not offer classes. Some students went to do what they liked. The staff find something doing. We thought of setting up a university in exile. But the war ended and we came back to UNN. I then had stupendous challenges from Ukpabi Asika who was then the administrator of East Central State. The staff of the university were summoned to Enugu, we were frightened. When we got down the Milkin Hill we could not see Asika. We were told that they had decided to reopen the university and had set up a committee charged with the responsibility of preparing a report on how to reopen the university. The committee was given two weeks to present the report. My name was announced as the chairman of the committee. All the members were members of academic staff of the university, the Vice Chancellor, Prof. Eni Njoku was there, but his name was not mentioned. He said well those of us appointed should go ahead. We spent two weeks, worked and prepared our reports. When we got to Nsukka, we were taken round the campus and the place was terrible. So many things were damaged. They damaged the borehole, which the university relied on to get water. They told us they invited army engineer to repair the borehole but he pronounced it dead. They were going to Oji River with tanker to fetch water. They told us we cannot reopen the university because there would be no water. Gordian Ezekwe who later became the minister of Science and Technology was a member of my committee; I told him that was his responsibility. We left him there and moved on to do other things. He knew where they hid the items. As he reconnected them, the army could not believe it, because in two weeks water was flowing. So we re-opened the university. I cannot go into other stories. The speech I gave on the reopening was carried worldwide. The Ford Foundation visited us. After seeing the extent of damage, they paid for me to go to any where in the world to raise funds as a help for the university. I went to Germany, US, England and Canada. Then we got back to Emir of Kano who was appointed the Chancellor of the university before the war broke out. We said well Chancellor we are back to business. He was very good as he gave nod to it. some Nigerians said we should not be allowed to reopen the university. That we could gather again and cause another civil war. What some people have planned was to shut UNN for several years. But we gave our reports in two weeks. Asika accepted our reports and gave us two hundred pounds to go and open the university. When I called the students back they responded quickly. When I addressed them at the arts theatre, they sat on the bare floor, I sat on a block. I had the experience of becoming the Vice Chancellor and Chairman of Council at that crucial period. After 10 months Asika, the governor appointed a Governing council for the university. The VC, Professor Kodili was appointed. At that point I felt I could leave as I do not know what else to do for Nsukka. In fact, when we advertised for students we were bombarded with application from all over the country, not just from the East but all over the country. A lot of people were anxious to come and study under these professors who made missiles. It was fantastic as we worked out what to do. As things started moving well, I thought of where else to go. I knew the role I played getting the VC at UNN to get Njoku to come to UNN when he left the University of Lagos. Whether he will agree to come or not, I did not know because there were people at that time in Nigeria who did not think much of Nsukka because they were British trained. But I took decision of going to see Prof Njoku myself. This was around 1965 or 1966. I talked to him and he agreed. We were not sure Zik would agree because Zik was our Chancellor at UNN then. Of course, Zik and Njoku were political enemies. So, we were not sure Zik would agree. But Americans bought the idea, though Njoku was British trained. As this happened Njoku came and insisted that he must be a Professor of Botany. So, he was VC and Professor of Botany. Believe it or not that helped him at the end of the civil war because when the civil war ended, the authorities did not want him back as VC but I had to go and tell Asika that this man was also a Professor of Botany and you cannot touch him. It was only on grounds of moral aspect you can remove him. What we did at Nsukka was not to allow Nsukka to be American University, because we did not think that was the ideal thing for this country. America at its development would not be compared with what we are doing here. So, we had to design something that was neither British nor America, something benefiting both sides. In American Universities autonomy is excessive but Britain has this external examiner system, where you are autonomous but you allow other people to come and join you in a certain opinion on the quality of the students you produced. That kind of thing is not in America. Although they have the accreditation system in America, which tries to do that but not as direct as in Britain. Nsukka set up something I myself grew to be proud of. In fact Nsukka set the pace in a number of areas which other University has benefited. I should also say that Britain has changed itself drastically from what it was before because the Oxford-Oxbridge system that was there before what they called Robbins committee some years ago. This Committee recommended some drastic changes in the UK system. America has also influenced Britain, British is not what it was at the time Ibadan started. The only thing is that in quality and standard British is indisputable. Though we set up UNN after American system, there were certain things that were not done in American system we had to introduce. For instance, the external examiner system. The Americans would not hear that but we insisted because if you did not do that in Nigeria, nobody will recognize your degree. We encouraged that lecturers and professors from other universities should come and join us in examining the candidates so as to certify them. Almost at the time we finished reopening UNN and things started working well, the West African Examination Council (WAEC) advertised internationally. That was after the civil war, after running UNN as interim Chief Executive. I applied for the WAEC advert. We were interviewed in Monrovia and they said either me or nobody. I was selected and they insisted if I did not take the job they will re-advertise. That was how I moved into WAEC and I saw it as a new challenge. I did eight years there and retired from public service. I was not the pioneer Registrar of WAEC. But I was also the first Nigerian Registrar of WAEC, because WAEC had been in existence. It was set up by the Colonial Government. The first WAEC Registrar appointed by the Secretary of State for the Colonies was succeeded by a British Jan Dicka. He rose from the WAEC rank and was succeeded by a Ghanaian, Mr. Crungy who had been a Staff. I was the first Nigerian to have come to WAEC and I came from outside the WAEC system. That was another unusual thing. Although I have represented UNN on meetings in WAEC. I knew a little bit about WAEC. I went to WAEC to see the impact I could make, because WAEC had also existed on its own way. The first few months I stayed there I could not reconcile how previous Registrars of WAEC would have accepted the situation existing there. In the first WAEC Council Meeting, I submitted a paper on the role of the Registrar as Chief Executive of WAEC. This created a lot of transformation there because I think many of them just saw the Registrar as the Chief Clerk of the place, and WAEC staff were to be seen not heard. People like; the principals of Secondary Schools and the lecturers in the university thought they were on top of WAEC officials. It was not that they had better credentials like the people appointed. They thought they should decide what would happen in WAEC and the staff should carry them out. But I thought differently. WAEC is a major organisation that recruited staff and trained them; the staff should give professional leadership to the place. And not people who come for WAEC meetings to overshadow the place. I was the first Registrar of WAEC to sign the WAEC certificate. Before me, no Registrar signed; it was the Chairman of the Council. And when I mentioned this, they opposed it. I said it was not the same thing in Britain, the Registrar or the Secretary they called them in the examining Board in London and Cambridge was the person who signed the certificate. This is because he was the man who will certify what is in the certificate. But in Nigeria it was different. They still argued. What helped me in sailing through the argument was because when some of them said how a registrar can sign the certificates, I told them that I signed degree certificates before coming to WAEC, so why will I not sign WAEC which degree certificate is higher than, nobody could say anything. I mean I was a Registrar and a VC, so if I could sign the certificates of degree holders why not that of WAEC holders. I must say that WAEC was a big challenge for me; it brought me face to face with Nigeria-Ghana relationship, which was not always friendly. It was a major challenge that we were the certifying body for secondary schools in the member countries. We created something that qualify them to enter the university, to get employment and it was important that these things would be of high value, something that would be respected internationally because they use it to get admission in all parts of the world. WAEC started by taking examinations of other UK bodies; city and guild of London, Royal Society of Arts. I did not see why we should be essentially agencies; we ought to run our own examinations and get them acceptable worldwide. I am happy that it was effective during my time. It started before me but it was just that in my time WAEC cut its link with all those foreign bodies and became a truly independent multinational examining body respected all over. With this people came from Papua New Guinea, East Africa, West Indies, the Caribbean to study what we were doing. When City and Guild marked their 100th anniversary they conferred three honourary fellowship awards, of which I was giving one because of the work I have done in WAEC. It was a big challenge. We had problem with the government, as they did not accept the idea that results came out and the son of a highly placed officer failed. They said that was should not tolerated. How can that happen for a minister's son, Commissioner's son did not pass WAEC exam. Then the son of a messenger passed. In fact one state broke away from the council because of this. The state later came back. We had to make it clear to them that we did not care. It was just that we did to say so in a brash language. We did not really care whether this candidate, his father is Head of State or not. We saw him as a candidate, we judged him as a candidate, the examiners were not told of the child of any person in government and in marking the results nobody was told who is who. Our system was that when the papers had been marked, graded, everything is now turned to the computer; nobody knew the division any candidate will get. After the process which took 36 hours everything was set, then computer would do what it was supposed to do and results are printed. There was nothing like let us print and show the registrar first. Results are printed, detached and sent to schools. Some people recognized all these processes and thought they were the right thing to do. However, at a point, some thought that WAEC had become too big a body because in Britain there were so many examination boards. Such people forget that these are historical problems. That Britain saw the problem in having so many independent bodies, so they set up what they called Schools' Examinations Council to try and standardize results from various places. But we have the advantage that one body was doing it here in Nigeria. But that kind of thing is what you tell government they listen to you easily. When they were advised we have business examination taken away from WAEC. The common entrance taken away from WAEC. Technical examinations taken away from WAEC. WAEC went on with what remains. Expo has been there. I would not like to deceive people thinking that expo came after I left. Of course Expo 77 is my detective novel. The 77 is like FESTAC 77. I coined the idea from that. It is only detective novel I had written. It is on issue of exam malpractices. But I know that when I was Registrar there was a leakage and press asked me questions here and there. I made the statement that what gave me pride was that the government set a tribunal; they took oral evidence, written evidence and as they were investigating two sources of the leakages were found out. What gave me joy was that from all the testimonies given no staff of WAEC was involved. I said that when you have so many staff and that they can emerge upright in this kind of thing, it is the greatest joy I had. Somebody asked me a question, what can you do to stop examination leakages in Nigeria? I said well, go and ask the Inspector-General of Police what he can do to stop crime in Nigeria. There is nothing you can do; there are people who are constantly planning what to do. They move from one stage to the other. The computer and GSM came on; they now know how to use that to cheat. But what I try to do in the council was to first of all minimize the chances of malpractice and mass cancellation of results. This issue of cancellation is cumbersome, especially when you cancel the results of a whole school or a whole state. So, minimize that kind of thing, so that when it happen, pin down where it took place and do not cancel the whole examination. If it happens, you must have question paper ready to replace within a matter of week. Investigate and take action. There are number of actions taken to reduce the idea of mass punishment. There is nothing anybody can perform to tell you that there will be no more exam leakages. There was this body that came up, an NGO, that must be 20 years ago. They tried different things here and there. So, it will not stop but you can prune down what happens and work out machinery that will help you track down things and deal with culprits, then avoid blanket punishments so that people who did it will suffer for it.